Kinetic 5th gen/SS/G8 Toe rods 4130 Teflon Spherical Bearings Powdercoated black Heavy duty meant for Drag racing. These will keep Toe movement down on hard launches and keep deflection down as well. MADE IN THE USA! 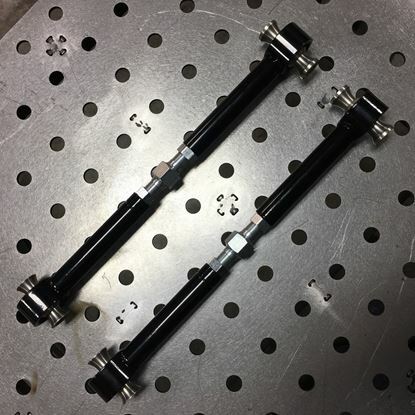 Kinetic CTSV V2 Toe rods 4130 Teflon Spherical Bearings Powdercoated black Heavy duty meant for Drag racing. These will keep Toe movement down on hard launches and keep deflection down as well. MADE IN THE USA!